The Overwatch League had one of the most successful initial launches of an esport when it bowed last year. Blizzard’s professional league brought in major, big name sponsors and strong viewership throughout its initial run, so much that they ramped up their expansion plans for season two from four to eight teams. The Grand Finals, which saw the London Spitfire defeat the Philadelphia Fusion in front of a sold-out crowd in Barclays Center, was seen by 10.8 million viewers globally. By any measure, it was a huge step toward bringing esports (and the league as a whole) into the mainstream. The second season is set to launch this week, and the landscape has dramatically changed from season one. Eight new expansion teams have joined the league and the original twelve have learned how to operate at a high level, both as organizations and teams. Overwatch has discovered new metas, strategies and team compositions, as (like any professional sport) rosters have been shaken up and rookies are coming in putting last year’s veterans on notice. And finally, the League itself has learned from season one and changed up the season’s format a bit to allow for better schedules, both for fans and players. To put it simply, it’s a whole new game in season two. Thus, it’s time to look at who has a legitimate chance in the first stage and which teams will be left with ground to make up. How this will work: These power rankings, it must be clear, are not an attempt to see where teams will stand in terms of winning the whole thing. With several months of play ahead of us, new patches sure to come and a host of other factors that will come into play, that would be impossible to tell. Rather, the power rankings are exactly what the name implies: a ranking of how strong the teams look just before the season starts. I’m looking at how these teams are likely to perform in stage one only. I’ve broken the power rankings into two parts because of the sheer number of teams involved. The pre-season rankings are a lot more detailed than future rankings will be, as there is a lot more to cover in terms of new teams, lots of off-season changes and such. Rankings to follow will be much more straight-forward (and, most likely, far less speculative). With that all said, let’s dive right into the teams and see who will be fighting at the bottom of the barrel. Predictably, the expansion teams will be starting off season two fighting against the disadvantage of being the new kids on the block. Nowhere is that a clearer problem than in Washington, where the Justice have perhaps the worst team on paper. Their biggest names are people like main tank Junhwa “Janus” Song, who has playoff team experience from last season on the New York Excelsior, and DPS player Gi Hyeon “Ado” Chon who was one of the brightest spots on the dismal Shanghai Dragons. But Janus was arguably the weakest spot on the NYXL, and being the one of the best parts of an 0-40 team isn’t the greatest accolade. Beyond Janus and Ado, the Justice’s roster is uncertain. There is a lot of potential here, particularly in the likes of NRG alums Riley “Fahzix” Taylor (support) and Ethan “Stratus” Yankel (DPS), and GLA Legion DPS standout Corey “Corey” Nigra. But the team has a hodge-podge sort of feel, and there’s real concern over how well they will mesh together. OWL season one proved that without a strong tank line you’re in trouble, and the team of Janus and Hyang-ki “SanSam” Kim likely isn’t up to snuff. If there’s any faith to be had, it’s that their coach is Hyeong-seok “WizardHyeong” Kim who put together the powerhouse NYXL for season one. 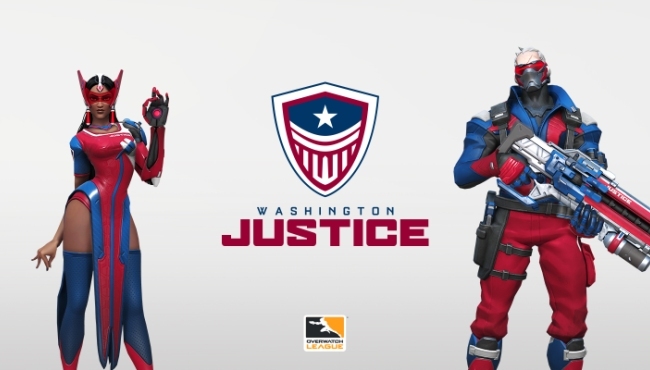 It’s hard not to trust WizardHyeong’s ability to make a great team, but controversy around the Justice’s management team in relation to their offering Shock analyst Harsha Bandi a job and then reneging after he left the Shock. There are too many concerning signs here to put the Justice anywhere above the bottom before the season begins. China has had a particularly rough time in the Overwatch League. Of course, I’m talking about the Shanghai Dragons, who set the record for professional sports with a 40 game losing streak that ran the entire length of the inaugural season. That set an unfortunate perception of China’s Overwatch scene, one that the Dragons and two new Chinese-based teams hope to change in season two. 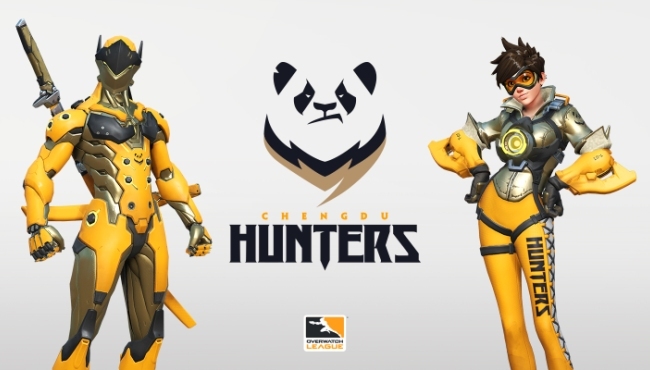 That said, if China’s profile in Overwatch does rise than it is unlikely to be because of the Chengdu Hunters. Ths biggest problem here comes in a comparative inexperience in top-level play. 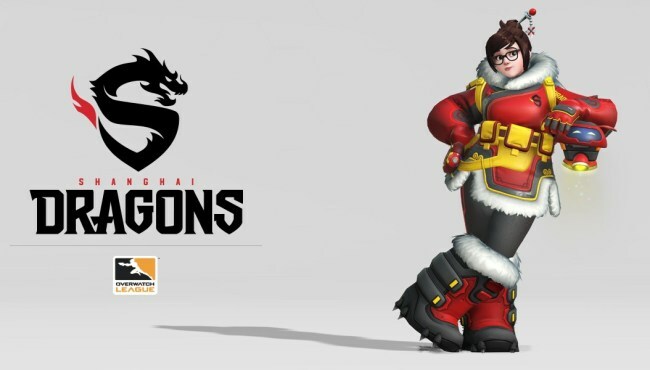 DPS players Lo “Baconjack” Tzu-Heng and Zhihao “YangXiaoLong” Zhang haven’t played professionally since late 2017, having both left the game last year for a while before returning. There are some talented players here like Flex tank Ma “LateYoung” Tianbin, who was a big part of China’s second-place Overwatch World Cup run. But the fact that they will be down a DPS in YangXiaoLong due to visa issues will hurt them in stage one. And as we saw with many teams last season, when a team struggles right out of the gate it’s difficult to make up that ground lost. The Hunters have a steep hill to climb and they’ll have to surprise a lot of people in order to exceed expectations. 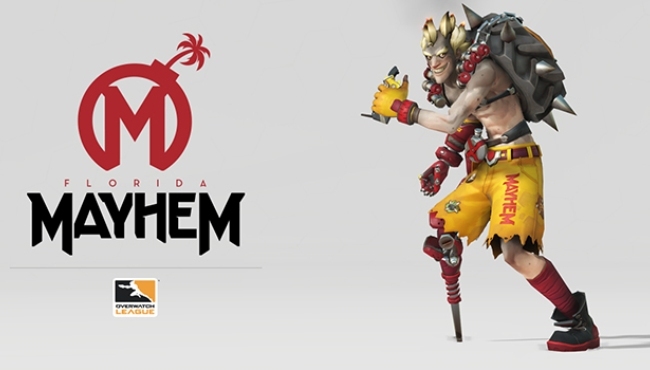 The Mayhem did not have a particularly bright first season in 2018, coming in second-to-last ahead of only the Shanghai Dragons. Unfortunately things aren’t looking much better for season two as they sit at the bottom of the power rankings among non-expansion teams. Florida was a scrappy team who showed signs of coming alive after a disastrous stage one, but never put it together. The team made some changes between seasons, but there’s a serious question as to whether the roster moves made any real improvement. Their new support line in Spitfire alum Hyeon-woo “HaGoPeun” Jo and Meta Athena’s Jun-soo “Kris” Choi might be a step up, but that’s speculative at best. The status of the tank line is uncertain, as Sung-hoon “SNT” Kim (known as aWesomeGuy last season) has just moved to coach and will be a substitute tank at best. That leaves NRG alum Sung-hoon “Swon” Kim, who is unproven, and flex tank Jae-mo “xepheR” Koo. Perhaps the biggest sign that there’s trouble in Florida comes in its management team. On January 20th, the team parted ways with Assistant Coach Hyun-jin “r2der” Choi. That’s an eyebrow-raising roster move to make less than a month before the new season starts, and there’s been hints that r2der was a real problem as a coach. If true, that’s the kind of decision that should have been made much earlier and new Assistant Coach Marvin “Promise” Schröder has very little time to meld with the rest of the roster. The Mayhem could overperform, but at this point there isn’t a lot to suggest they’ll do much better than last year. 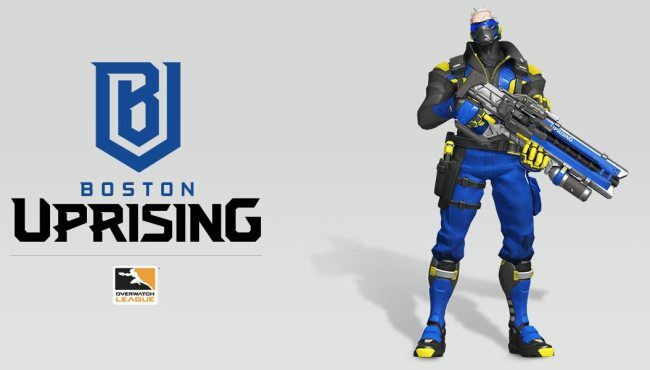 The Boston Uprising was the little team that could in season one, defying expectations to become the sole team to go undefeated in a stage. But the hype behind that stage three performance only served to highlight how streaky they were as a team last year. Even with a 10 – 0 run, they only finished the season at 26 – 14 and made a quick playoffs exit. That led the team to make some big offseason changes, shedding half their roster and picking up five new players. The new team looks prepared to play the so-called “GOATS” three tank, three support play, with three solid-to-great tank players in standout Min-seob “Axxiom” Park, new call-up Cameron “Fusions” Bosworth and Lucas “Note” Meissner, plus a pretty decent three-man support team. Unfortunately, GOATS was dealt a serious blow in the recent patch with buffs to DPS heroes and a major nerf to armor. While the GOATS meta isn’t dead yet by a long shot — it will still be prevalent — it won’t be as strong as thought. That’s going to hurt the Uprising a little bit and it will be important for them to adapt on the fly. With only two DPS players — and one of them, Kelsey “Colourhex” Birse, out for the first two games due to a suspension — that’s going to be rough. The departure of Nam-joo “Striker” Kwon to the Shock seems like a bigger concern in retrospect. Quick adaptation requires a strong coaching/management team, something that has come into question with the Uprising. A report from October said that there were multiple management issues during season one, and the lack of changes at the organization level means that these reported issues can’t be discounted for season two. Communication among the multinational roster could become a big issue and for the moment, there’s little to suggest that they’ll top their lackluster performance in stage four of the first season. If there’s anything that we’ve learned in Overwatch League, it’s that you constantly have to be able to adapt to changing metas brought in by patches, strategies and more. What works in stage one may be lackluster in stage two, and completely useless by stage three. The lack of moves by the Houston Outlaws is extremely concerning for how well they’ll handle the first stage of the 2019 season. 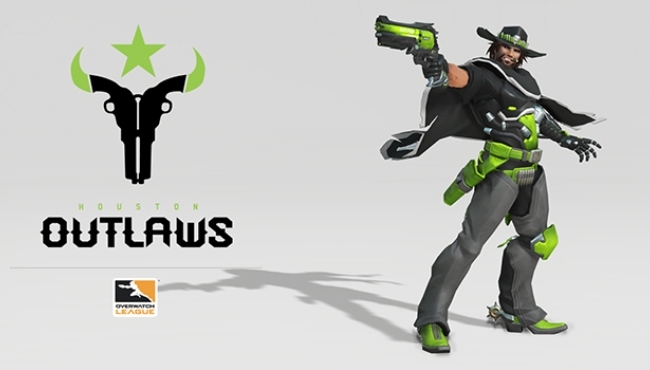 The Outlaws have a team full of specialists for the most part, which was their problem in season one as the need for a Tracer player hurt them in the middle season. They’ve solved that specific problem by bringing Dante “Danteh” Cruz on board from the Shock, but there won’t be much need for Tracer in the current meta (although his Sombra will be great for anti-GOATS). And there is still a lack of real flexibility that will make things tricky as triple tank/triple support begins to phase out in favor of quad-DPS and other emerging compositions. There’s still a strong core of skill here to rely on, to be fair. Austin “Muma” Wilmot is one of the best tanks in the league, Jiri “LiNkzr” Masalin is an incredible DPS player and Shane “Rawkus” Flaherty leads a solid support team. But there’s plenty of evidence to suggest that this is, at its core, the same Outlaws team that could never put it together after stage one of the first season. With basically every other team upgrading significantly, the Outlaws are in real danger of being left behind. The next couple of spots are filled by expansion teams who don’t have any incredibly glaring errors but will have a lot to learn as new teams. The weakest of these two, at least on paper, is the Toronto Defiant. 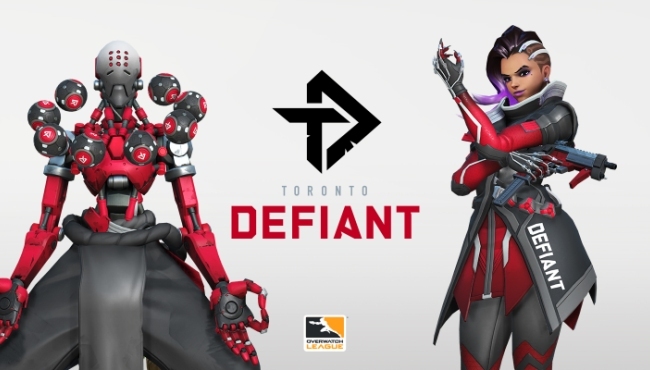 The Defiant was the first of the expansion teams to announce their full roster. And like some of the most successful teams, they’ve gone with a full Korean lineup. There are some OWL veterans in here in Se-hyeon “Neko” Park, Joon-seong “Asher” Choi, and Kang-jae “envy” Lee, and they’ll be able to give some leadership for a group of players who are promising but were on underperforming teams in Overwatch Contenders Korea. Most of them — DPS players Seung-hyun “Ivy” Lee and Do-hyung “Stellar” Lee, and main tank Gyeong-mu “Yakpung” Jo — come from O2 Ardeont, which placed moderately at fifth in Contenders Korea season two. 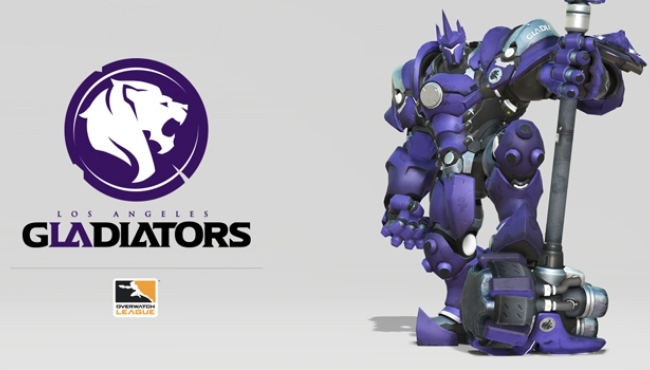 The key word on with this team is “potential.” The coaching staff is intriguing; head coach Beom-joon “Bishop” Lee was a big part of the London Spitfire’s success, and analyst Dennis “Barroi” Matz is a stats specialist best known as the founder of Overwatch analysis site Winston’s Lab. The synergy is there thanks to CEO Chris Overholt drawing from a few sources instead of piece-mealing. There are simply too many question marks for me to be confident about their place in Stage One, although like most of the expansion teams they could easily overperform. 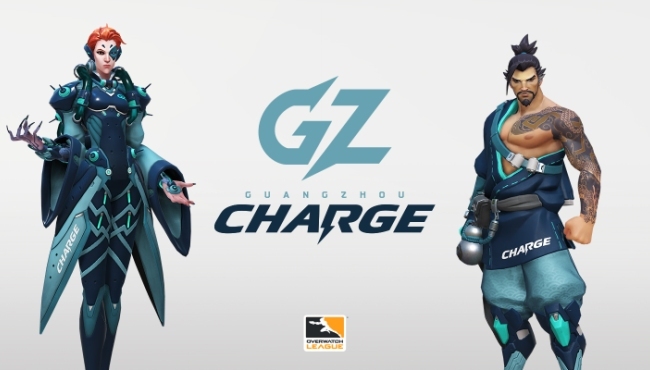 People have not had high expectations for the Guangzhou Charge coming into the new season of Overwatch League, and I think that’s unfortunate. The third of the three China-based team does have an odd roster makeup, to be sure. The team reached out to various places to pull together their roster, building of a core of four players from Korean Contenders team Meta Bellum and adding in a mix of nationalities. It’s the most diverse roster with six Koreans, two Chinese players, an American and a UK player. That makes for language barriers that one might think is hard to deal with, particularly in a game as tactical as Overwatch. And yet, early reports are that — notably in their showmatch with the Seoul Dynasty — the team seemed to operate pretty seamlessly. That’s cause several people to take another look at the team. While they aren’t as worrying as some initially thought, there are still a few hurdles. The fact that support player Lee “Rise” Won-jae is out for the first two games due to a suspension hurts, and their main tank is fine but not great in Seung-pyo “Rio” Oh The skill on this team certainly holds up. DPS player Finley “Kyb” Adisi made a real name for himself in the 2018 World Cup, while Jung-woo “Happy” Lee and Ou “Eileen” Yiliang are coming in with deserved hype for their fragging skills. Hong-joon “HOTBA” Choi has come over from the Philadelphia Fusion and will fill that much-needed flex tank role. This is a team that could easily rise up the ranks in later stages, but will be middle of the pack for the first stage. A week ago, I would have had the Dragons higher on my list. Last year’s winless team made some big changes in the off-season, dropping all but three players and picking up what looks by all estimates to be a much better team. The new roster includes the likes of Son “CoMa” Kyung Woo, Yong-Jin “YOUNGJIN” Jin and Min-seong “diem” Bae, all of whom have had success on Korean teams like KongDoo Panthera and Lucky Future Zenith. There’s every indication that they will meld well with last year’s tank line of Eui-seok “Fearless” Lee and Se-yeon “Geguri” Kim. Returning DPS player Weida “Diya” Lu remains the sole Chinese player on the team but worked well with Geguri and Fearless in season one. Indeed, everything was looking up for the Dragons. Then last week the team announced that Fearless would be taking a personal leave due to a health issue. It’s a tough blow for any team to lose their main tank right before the season, but for a team that is looking for redemption from a historically bad season it’s heartbreaking. The Dragons quickly made a move to fix the problem, picking up Young-jin “Gamsu” Noh from the Boston Uprising just yesterday. It still leaves the team in a somewhat difficult spot to start the season, as they have no time to gel as a team. With their first matches against two of the tougher expansion teams in the Hangzhou Spark and the Vancouver Titans, it’s hard to tell whether the team can avoid having their winless record will extend to 0 – 42 by this time next week. This could be a hard first stage for the team, and as we’ve discussed that’s not an easy hole to dig yourself out of. Still, things do look well improved for the team and Dragons fans have that at least to be happy about, as well as probably a couple of wins in stage one. 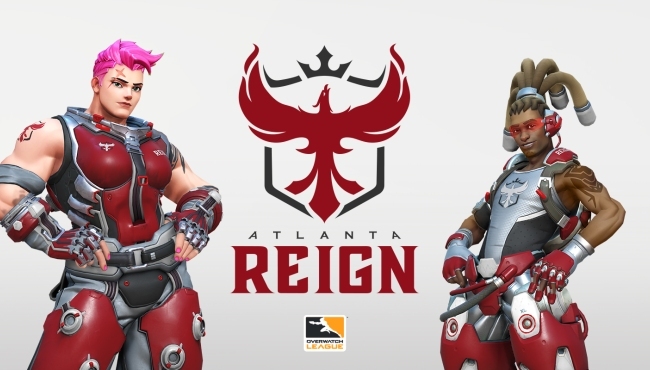 No team is harder to predict for stage one than the Atlanta Reign. Even if the Uprising or Justice overperform, they’re not making it into the top twelve. It’s really, really hard to imagine any of the top five teams finishing signficantly lower than that. But there are so many x-factors on Atlanta’s expansion team that they could conceivably finish anywhere across the spectrum. There are some reliable things we can say, of course. The Element Mystic tank lineup of Dong-hyeong “DACO” Seo and Hyun-jun “Pokpo” Park will one of the best, if not the best, among the expansion teams. And Jeong “Erster” Joon is a ridiculous DPS player. And, of course, there’s Daniel “dafran” Francesca. dafran is the team’s star player, and one who has the potential to be one of the best DPS players in the league. However, dafran comes with enough baggage to fill a train and a whole host of questions. He’s this year’s equivalent to xQc, the former Dallas Fuel player who is insanely talented but was a behavioral nightmare. To be clear, dafran isn’t xQc and isn’t as big of a risk as he was. But the comparisons are valid. He’s been suspended for throwing games and kicked off of a pro team, namely Reign coach Brad “Sephy” Rajani’s Selfless a couple of years back. He quit the game and came back, and soon after his signing was announced he said he was quitting, then went back on it the next day. dafran on his own won’t seek the Reign even if he acts up, but he can provide a big distraction that would (IF it happens) make the team’s job harder. No team’s chances rest on just one player, and the Reign has another talented DPSer in Russian LFL alumnus Ilya “NLaaeR” Koppalov. But there are a couple other factors like communication; this is an incredibly diverse roster and language barrier could be an issue. If everything falls into place, the Reign could be terrifying in stage one and beyond. I’m just not 100% sure that can happen. But on the plus side, they have a very favorable stage one schedule that should at least be able to get them to the top twelve, if not higher. For much of the 2018 season, the Gladiators seemed like the success story of the season. They were one of the few teams that got off to a bad start in stage one but turned it around, to the point that they went a stellar 9 – 1 in the final stage. Then the playoffs came and they had a nightmare scenario as main tank Chan-hyung “Fissure” Baek sat out their playoff game for reasons that were never quite clear. Unprepared for this, the team was picked off by the London Spitfire, who went on to win the whole thing. Fissure has since left the team, forcing head coach David “dpei” Pei to rebuild a tank line that was one of the best in the league before that. The replacements are good, to be sure. Gye “rOar” Chang-hoon was one of the hottest potential free agents and, while not quite filling Fissure’s skill level, should be able to provide less internal issues. He’ll also pair up nicely with flex tank Jun-woo “Void” Kang, with decent subs in Hyung-seok “Bischu” Kim and two-way player Lee “Panker” Byung-ho. Meanwhile, the DPS lineup is deep with Jang “Decay” Gui-un adding incredible value to an already-strong duo, and the backline is stellar in the Finnish trio of Jonas “Shaz” Suovaara, Benjamin “BigGoose” Isohanni, and Riku “Ripa” Toivanen. On paper, this team should be fire. But two things hurt them here. First off, they have a difficult schedule for stage one, playing against one of the best expansion teams in the Spark as well as the Spitfire, the Shock and the Dynasty. Second, they’re out Ripa for the first half of the stage on a suspension for throwing and toxicity in ranked. Ripa is their Moira specialist and running GOATS with two support is doable, but tricky. I fully acknowledge that I have these guys lower than most people, but it is for a reason. The Gladiators will be strong throughout the season, but the first stage will not be an easy one for them. And that’s it for now! Come back later for the top ten.